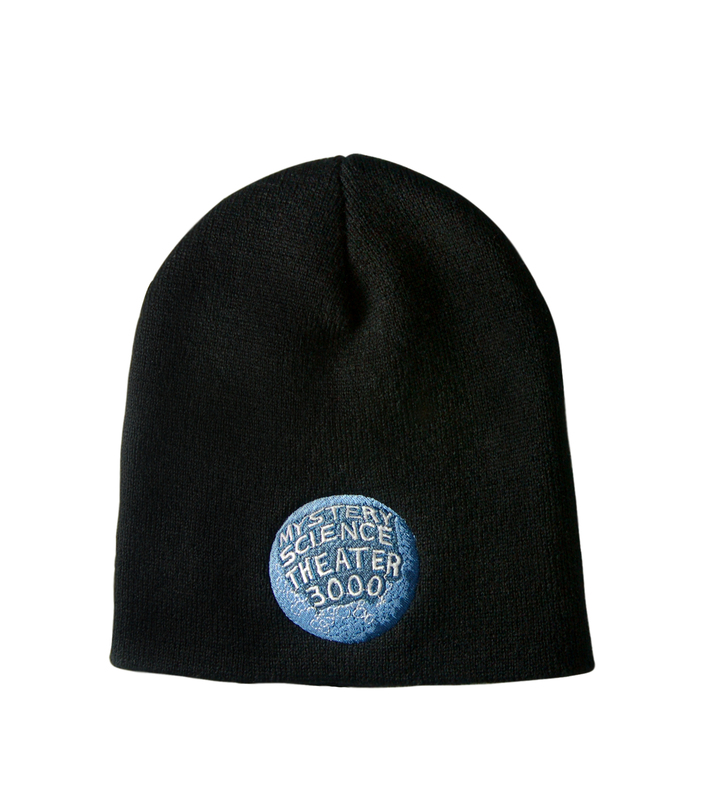 Keep your noggin warm with this MST3K moon logo beanie, perfect for wearing into an overly air conditioned movie theater, or during a brutal Minnesota winter, or when enduring the unrelenting cold of outer space. They say you lose a lot of heat from your head while riffing cheesy movies. That may or may not be true, but wearing this hat shows you’re not taking any chances.